REM was officially mandated as Independent Monitor of Forest Law Enforcement and Governance in the Democratic Republic of Congo (DRC) for a duration of 25 months between 2010 an 2013, through a € 1.6 million project funded by the EU. The Democratic Republic of Congo (DRC) is a country extremely rich in resources. Although its abundant mineral reserves have been presented as a “geological scandal”, the DRC also has enormous forest potential, being home to more than 61% of the Congo Basin’s dense forests. Despite its attributes, the country remains extremely poor and exposed to very high levels of corruption. to security, institutional, legal and infrastructural issues. 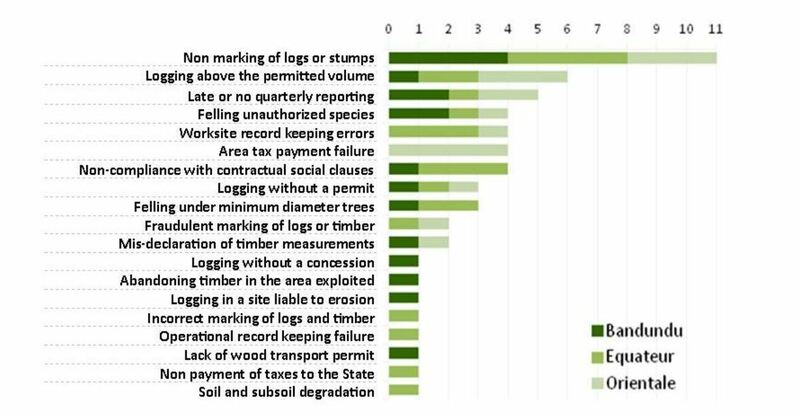 and adoption of implementing texts for the Forest Code, and the strengthening of those departments responsible for forest law enforcement. 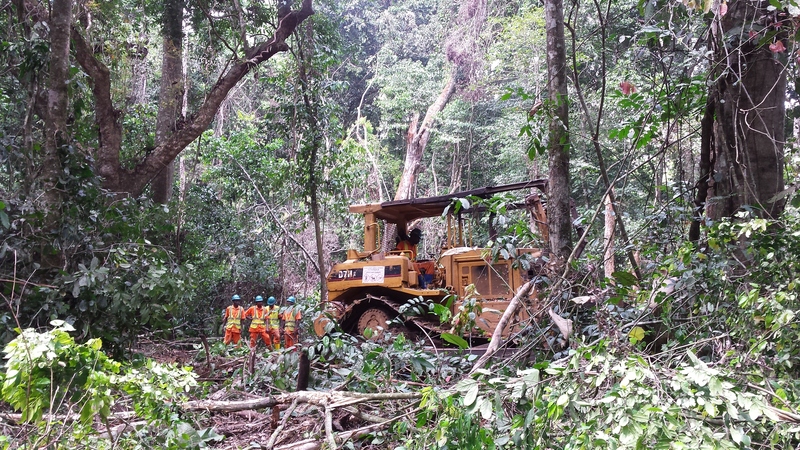 Moreover, government action suffers from being inconsistent due to a lack of coordination and collaboration between the departments and institutions responsible for forest management. Out of a desire to improve governance and reduce illegality, the Congolese government signed an agreement for a two-year period of Independent Monitoring of Forest Law Enforcement and Governance (IM-FLEG), implemented by REM between 2010-2013. You can access the website including all project results in French here. We opened an office in Kinshasa and carried out joint investigation in forest concessions with government officials. Funding was provided by the European Union. Following extensive work in country in forest concessions and ministry administrations over the project period, REM wrote 2 forest illegalities and governance reports, 8 thematic reports on forest infractions and governance, a manual of law enforcement procedures endorsed by the goverment, an analysis of the forest law, a monitoring manual for civil society organisations, and 5 mission reports documenting illegalities on 21 titles. All reports related to the project are available here in French. This Independent Monitoring project was funded by the 1Oth European Development Fund in the Democratic Republic of Congo for an amount of 1.682.000 euros.